Ending a five-year experiment, Amazon is shuttering its pop-up stores while bolstering other brick and mortar efforts. Amazon is closing its 87 U.S. pop-up stores, according to the Wall Street Journal. The shops are located in places like malls and Whole Foods stores and will be closing by the end of April this year. Amazon is terminating this five-year experiment, while expanding its brick and mortar efforts such as existing bookstores, cashier-less convenience stores nd 4-star stores, and launching its new line of grocery stores. The pop-up stores currently take up a few hundred square feet of space. The stores showcase devices like voice-assistant speakers such as Alexa, tablets and Kindle e-readers. The staff are dressed casually in black Amazon T-shirts and encourage people walking by to sample the latest products. On February 20, Samsung unveiled its luxury foldable smartphone at its Unpacked Event in San Francisco, California. Samsung’s new luxury smartphone, the Galaxy Fold, functions as both a smartphone with a 4.6 inch display and a tablet with a 7.3 inch display when it opens up. Priced at $1980, the device is intended for upscale customers who recognize the benefits of having one device as compared to carrying both a smartphone and tablet. The device works with a hidden hinge with gears under the display, creating a seamless look. The Galaxy Fold comes in four colors: black, silver, green, and blue. Samsung has created apps that work with the new dual display fold via a feature called App Continuity to enable the apps to stay open even if the device is open or closed. Samsung worked closely with Google on this feature, testing out Google Maps features. This ostensibly is the best feature of this foldable smartphone model thus far. The Galaxy Fold has a 7-nanometer processor, 12GB of RAM and 512GB of storage, along with a 4,380mAh battery, which consists of two batteries on either side of the hinge. The device has a total of six cameras - three on the back, two on the inside, and one on the front. These cameras enable the user to take photos regardless of how the device is folded. The Galaxy Fold comes in two versions, one with LTE and one for 5G. Samsung intends to ship the device with its own iteration on Apple’s popular AirPods, called the Galaxy Buds. The new device will be available for purchase April 26. The small size of the smartphone screen at 4.6 inches seems to indicate that the device is intended primarily for tablet use where the user could receive notifications and do basic searches using the smartphone screen, but then would open up to the table for any serious computing efforts. The Galaxy Fold enables the user to use three apps simultaneously. However, the user interface needs significant improvement and the apps are not appropriately scaled for optimal viewing. It’s clear that the device needs fine tuning and refinement in all these areas. For less than the cost of a new Galaxy Fold, consumers can buy a high quality iPhone and iPad that work perfectly or a Google Pixel and Samsung tablet. 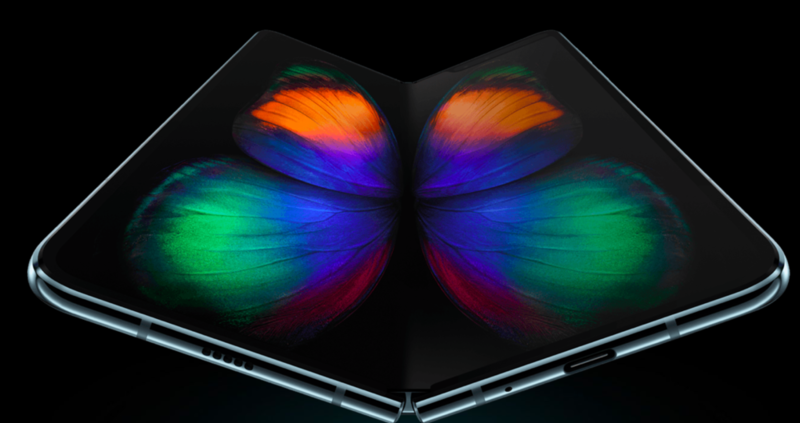 While it is marketed to consumers, the Galaxy Fold fails to meet expectations because the product is not ready for the mass market, from usability and design to customer experience and pricing. Perhaps Samsung needed to demonstrate its technical capabilities via the new device, but marketing to consumers so early on without sufficient refinement, creates unrealistic expectations and disappointment as the product is just not yet ready. Not to be outdone, Chinese smartphone manufacturer Huawei launched its own foldable smartphone, the Huawei Mate X, four days later on February 24th at the Mobile World Congress. The Mate X uses Huawei’s "Falcon Wing" design with a stretchable hinge that allows the smartphone to open out from a 6.6-inch OLED smartphone to an 8-inch OLED tablet. 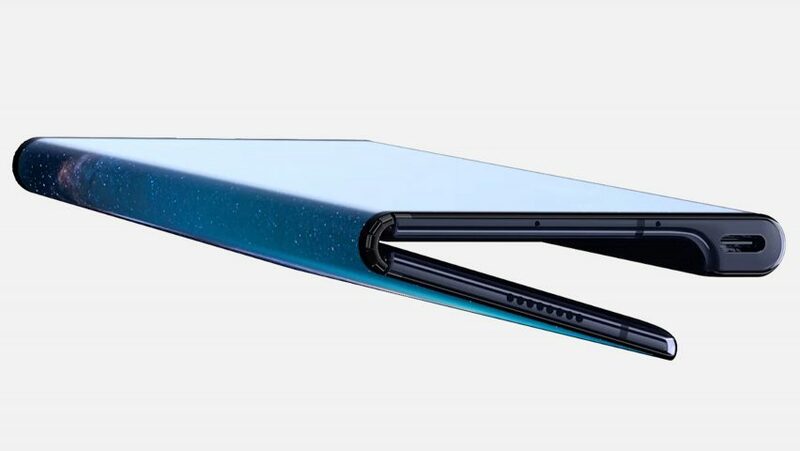 The new foldable smartphone is thus larger than Samsung’s Galaxy Fold. Huawei’s Mate X folds in the opposite direction of Samsung's Galaxy Fold. The "Falcon wing" at the side houses the camera and also enables the Mate X display to be notch free. The Mate X uses a Leica camera system with four cameras that include a 40-megapixel wide-angle lens, a 16-megapixel ultra wide angle lens, an 8 megapixel telephoto lens and a fourth camera yet to be activated. The Mate X also focuses on multitasking, is equipped with a 5G modem and has a fingerprint sensor integrated into the power switch for biometric authentication. Huawei has announced that the new foldable smartphone also has a 55W SuperCharge feature to charge the included 4,500mAh battery up to 85 percent in just 30 minutes. While Samsung shocked the market with its model starting at $1,980, Huawei’s Mate X costs even more, coming in at $2,600. Huawei’s foldable smartphone is expected to hit the market in the summer by June or July. Huawei’s new foldable smartphone however may not be available in the United States given the company’s existing conflicts with the U.S. government. Huawei has been suspected of supporting surveillance efforts and espionage by the Chinese government. Its CFO Meng Wanzhou is being extradited to the United States from Canada. Other countries have followed suit, including Japan and England, with discussions in Germany and other parts of Europe whether to allow the Chinese tech giant to gain access to telecommunication networks or not. Foldable smartphones have piqued interest for a considerable time now, with hype increasing in the past few years as images and concept ideas have surfaced on the Internet. Manufacturers have poured millions of dollars into research and development with patented hinges such as Chinese tech company TCL’s “Dragon Hinge” that took many years to develop. 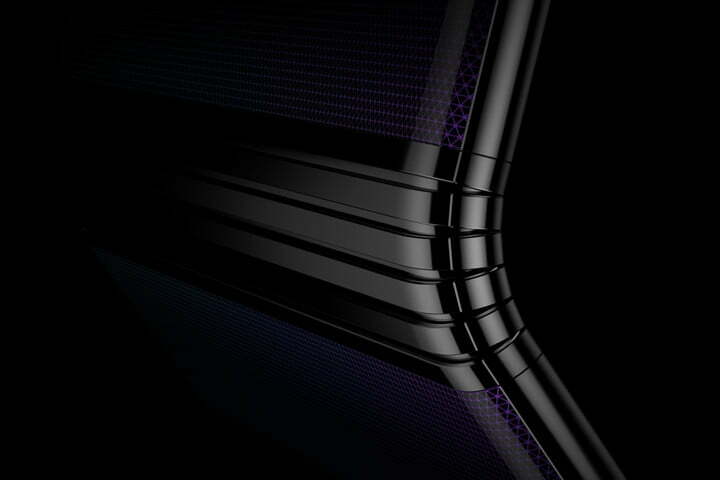 The DragonHinge is the name of the hinge that helps bridge the two screens together to create a foldable phone. It is paired with flexible AMOLED displays created by CSOT, a sister company of TCL. TCL notably has not yet launched its smartphone for consumers, citing the need to make the device accessible to consumers at an affordable price range. Given the popularity of the foldable smartphone at the Mobile World Congress and the hype surrounding the launch of Samsung’s new product, it is clear that foldable have gained popular appeal. It will be interesting to see what new versions come to market and how well the software integrates with these new designs. Few products have garnered as much attention as the foldable smartphone has in recent months. As always, Apple is not in a rush to launch a foldable smartphone product. The company is known for creating some of the world’s best products over time and careful testing, emphasizing quality over speed. Apple has filed patents previously for foldable smartphones. This does not confirm however that the company is building foldable smartphones in the near future. Are foldable smartphones here to stay? It is not yet clear whether the foldable smartphone will gain mass market appeal and thus define the smartphone and tablet industry in the years to come or if it is just a short-term fad that will fade away. We will have to wait and see! Change is on its way, as Amazon plans to open its first grocery store in Los Angeles this year, with two more for early next year. Amazon is also considering launching grocery stores in several cities such as San Francisco, Seattle, Chicago, Washington, D.C., and Philadelphia, according to reporting by the Wall Street Journal. The new grocery stores would be separate from Amazon’s Whole Foods Market chain. Amazon’s acquisition of Whole Foods back in August 2017, its largest purchase to date, revealed the Internet giant’s ambition to expand into the lucrative grocery retail market. The new purchase would enable Amazon to further establish its growing physical grocery store chain -something which the company has expressed interest in previously. Amazon is expected to open new Amazon 4-star stores and 3,000 new Amazon Go stores by 2021, its chain of grocery store without cashiers or checkout lanes. The company is trying different grocery store models and options, while possibly buying new regional grocery chains. Amazon has signed leases in several locations but this does not guarantee immediate store openings. The Internet giant has expanded from its humble origins selling books online to music, products, equipment and more. Amazon has grown into a cloud computing service provider via Amazon Web Services (AWS), launching its own original Amazon TV series and movies via Amazon Studios, self-publishing options via Amazon Kindle, logistics services, digital advertising and even efforts in finance and health care. In September 2018, digital marketing research firm eMarketer reported that Amazon’s advertising platform is now the third largest behind Facebook and Google. While a brand name for the new stores has yet to be announced, the stores are not meant to compete with Whole Food stores, which are considered more upscale and does not sell any products with artificial flavors, preservatives and the like. The new grocery stores will offer a variety of products at lower prices, similar to conventional grocery stores. Amazon continues to experiment with food delivery services such as Prime Now and different sizes of grocery stores. Prime Now is a two-hour delivery option that Prime members can receive in over 60 cities. There is also online grocery pickup from Whole Foods stores in just 30 minutes for nearly 30 cities. Amazon intends to keep growing its Whole Food store footprint and also to encourage Prime members to shop at Whole Foods more. The company aims to learn more about grocery shoppers and better serve them by offering better delivery and pickup options. Several supermarket giants such as Walmart and Kroger have already started to emulate this with their own options. When the Wall Street Journal reported news about Amazon’s plans yesterday, share prices of supermarket companies immediately plunged. Kroger lost 4.5% of its value while Walmart went down 1.1%. Amazon shares on the other hand, rose 2% on the day. Amazon is expected to choose a variety of options for grocery stores, ranging from new developments to stores currently occupied with leases that are ending soon. The stores are expected to be roughly 35,000 square feet in size, almost half the size of a standard 60,000-square-foot supermarket. In addition, Amazon aims to sell different products at its stores beyond groceries such as health and beauty. This differs from traditional grocery store leases in shopping areas that tend to restrict the sale of some health and beauty products. While Amazon’s final strategy remains unknown, many analysts estimate that the company will offer physical store sales in combination with e-commerce options for customers, with convenience for customers a top priority. Founder and CEO Jeff Bezos has always emphasized customer service as the company’s top priority. Amazon’s plans for expansion in New York City with a new East Coast headquarters in Queens, has come under fire from some vocal members of the community. The company was courted by New York governor Andrew Cuomo who offered large incentives to the company. In mid February, Amazon withdrew its proposal to build a center in New York, while continuing to set up its center in Arlington, Virginia. According to the New York Times, Cuomo is continuing discussions with the e-commerce giant in attempts to win the company back, aiming to remove obstacles and showing unison with a signed letter from over 70 unions. A full page ad even appeared in the publication, with an open letter to Jeff Bezos, asking for a second chance to bring the jobs and HQ back to New York City.